KelTec has been generating some buzz for last few years and this year they are taking more conservative approach. 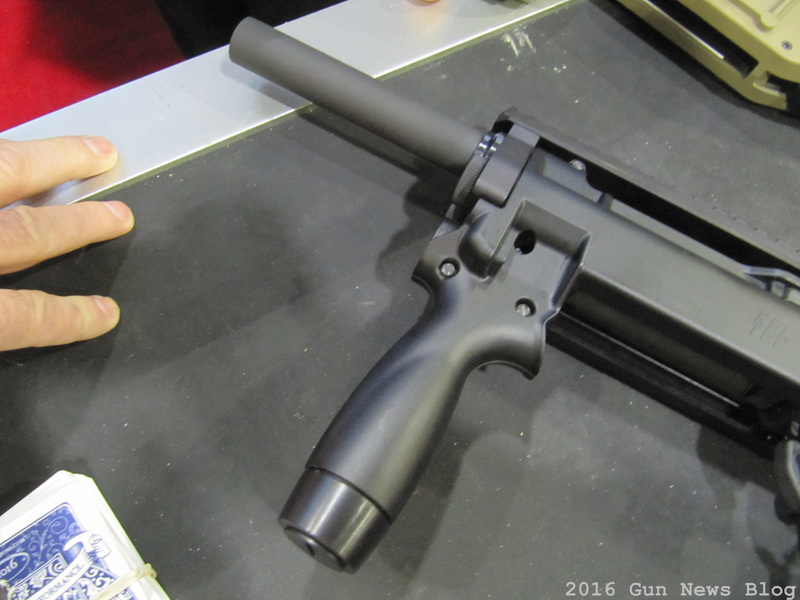 The NFA-ready KSG shotgun is here with a new design that takes 2 round capacity from each tube, but has integrated foregrip. 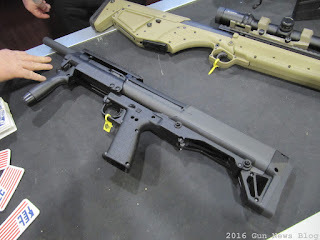 A civilian can get the tax stamp and fill out paper work, get approved, and get shorter barrel shotgun. 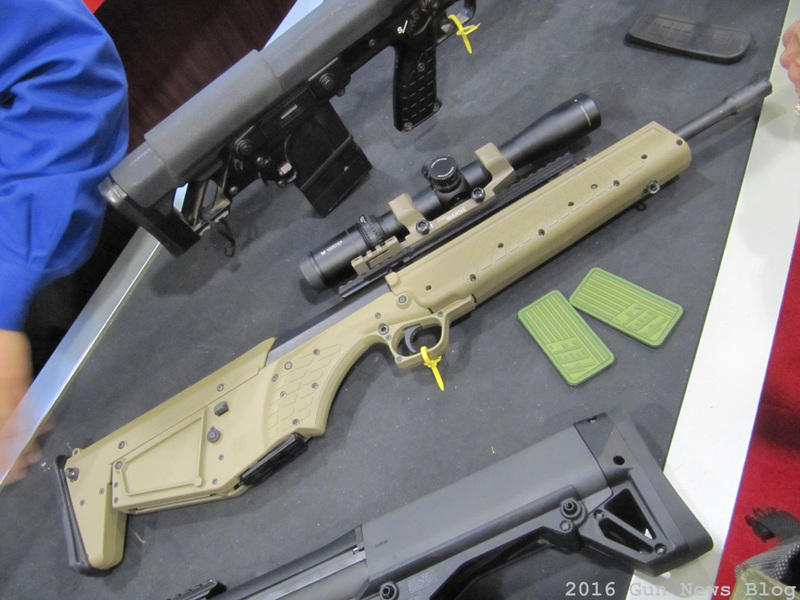 You can also see the RDB-C, a bullpup carbine based on theur RDB line.